5ml green glass bottles with black screwcap. Suitable for storage of aromatherapy blends. Please Note: Not suitable for use in conjunction with dropper caps. *Please double check the label area size before ordering labels as the size quoted above is approximate. 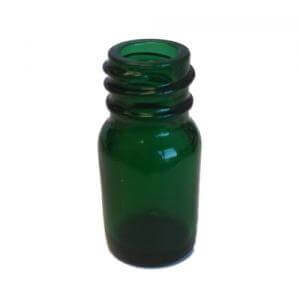 5ml green glass bottle suitable for storage of essential oils, blends. Handy size for sampling. Sold complete with black polycone screwcap. PLEASE NOTE: Not suitable for use with our dropper caps or tamper evident caps. 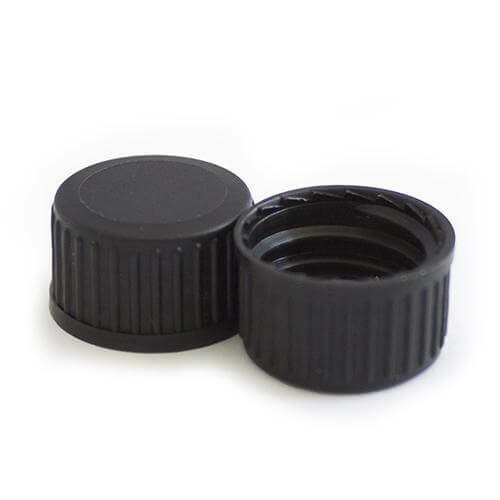 GL18 - Plain black cap with polycone liner. No dropper. Suits all glass bottles.